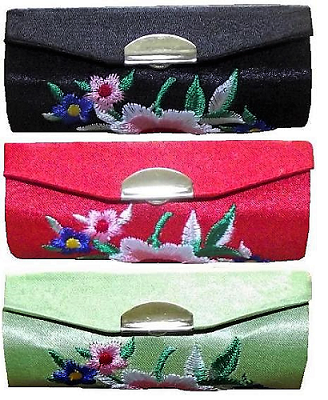 Chinese style lipstick cases decorated with embroidered oriental flowers. The lipstick case has a small internal mirror and holds a single standard size lipstick. The lipstick holders are available in a selection of vibrant colours.